Hi there! 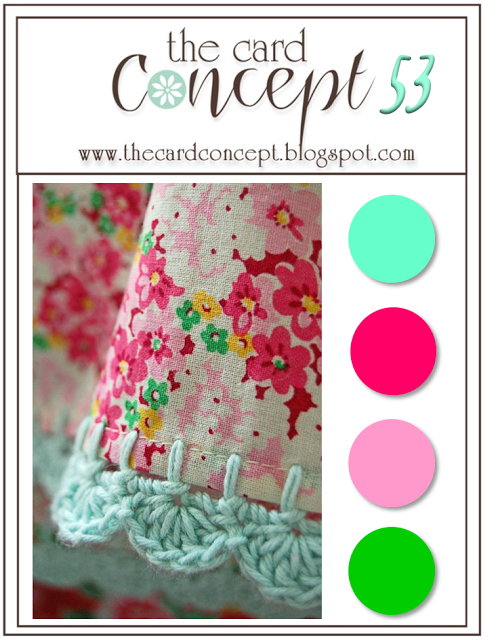 A super quick post as I'm speaking in under the wire with these cards today. First up is an entry using the colours and photo from the Card Concept. I added Stickles to the flowers and leaves for some interest and sparkle and this one layer card fits into the Clean & Simple category. 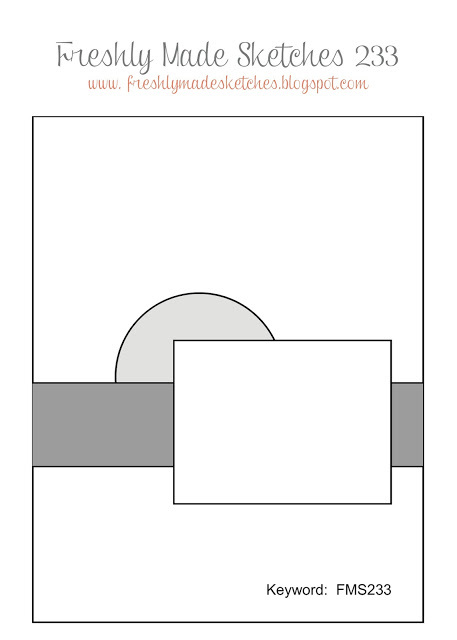 Second card uses the design from Freshly Made Sketches. I love this Paper Smooches unicorn - he always makes me smile! Oh my goodness! Both of these cards are so bright and fun in their own respects. 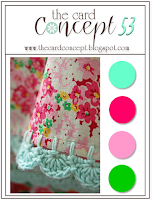 LOVED the folksy fresh look of those flowers and then you followed it up with a UNICORN! Who doesn't want a unicorn on all things?! Super cute creations. Happy to be your latest follower! Would love for you to come for a visit sometime, too! Both of these are so sweet Jen, loving the bright cheerful colours and I gotta say that a unicorn always makes me smile! I'm feeling rainbows, and lollipops, too, Jen!!! Such sweet cards! Two fabulous cards! I can't get enough of unicorns and this set is a favorite. Thanks for sharing with us at Freshly Made Sketches. 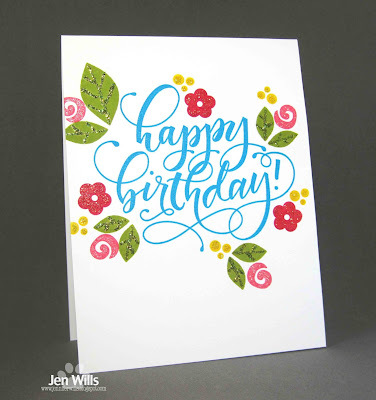 LOVE those pretty little flowers on your first card Jen. It's a happy card!! 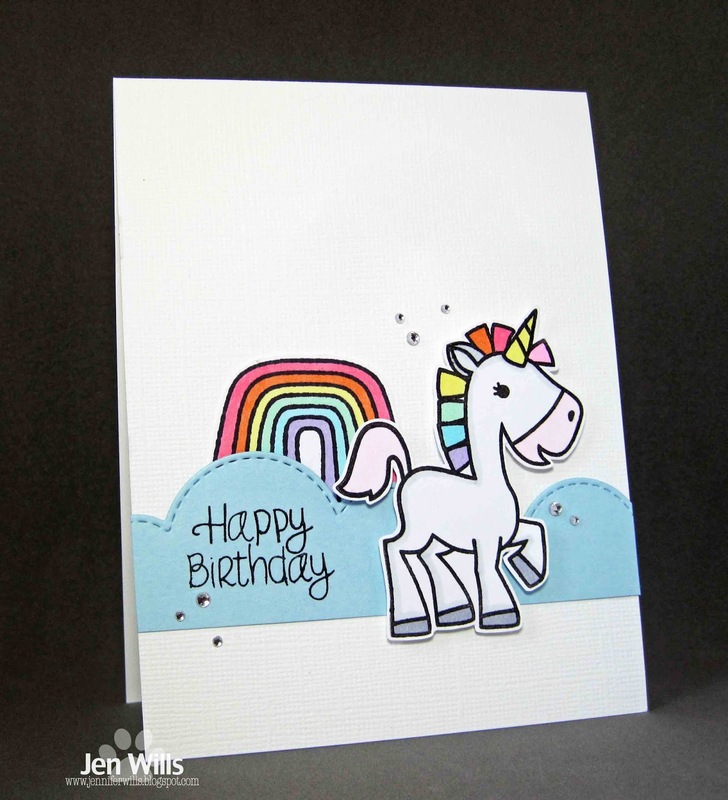 And that sweet unicorn, who can't smile at this adorable card!! Two wonderful cards, Jen. Really love that rainbow and unicorn one--classic! Fabulous cards! That unicorn is just too cute! Thanks so much for joining us at Freshly Made Sketches. Gorgeous card! I love the color in those tiny flowers! Thanks for playing along with us over at The card Concept! Both cards are super fantastic! Beautiful flower card! Thanks so much for playing along with us at The Card Concept. This is MY FAVE of all! !